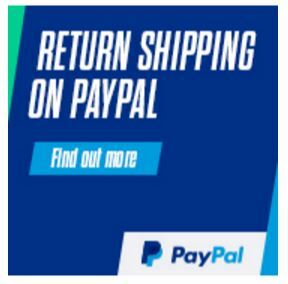 You save £30.00 that's 86% off! These B22 (Bayonet) Globe LED light bulbs are a sound investmentfor any home and offer a genuine replacement for a traditional 60W light bulbwith bayonet fitting. 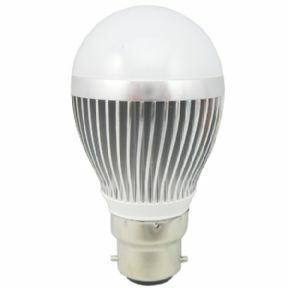 Each bulb features 5 high power LED's whichequates to a 60 watt equivalent bulb. They are the perfectly sized so you can simply unplug your existing B22 bulb and replace with your B22 LED. 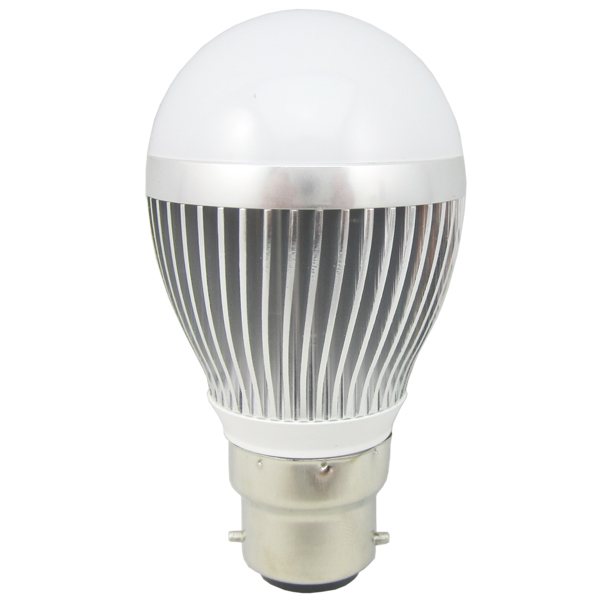 These bulbs have a huge 180 degree beam angle,providing maximum light output at 550 lumens. 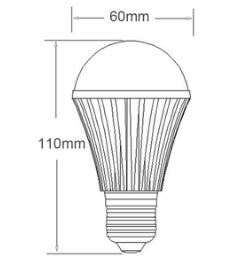 All our bulbs are made from aluminium or have aluminiumheat sinks, this keeps the bulbs at the correct temperature to ensure therelife span. They consume only 5 watts of electricity and are available in warm white. Although they are initially more expensive to purchasethan a standard bulb due to the fact they have a life expectancy of 50,000hours and the potential to reduce your electricity consumption by up to 90%,many customers experience a payback period of less than 3 months. With this sound investment you are the savingon electricity and replacement costs year after year. 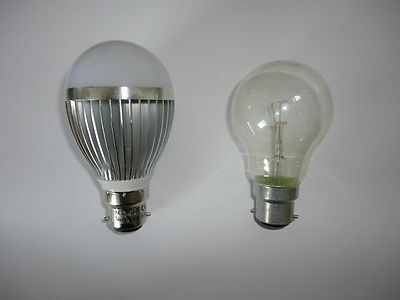 These bulbs are a similar size to the standard bulb - Please see picture of side by side comparison against a standard 60W bulb. Although the dimmable LED bulbs may be compatible with some existing dimmers it is recommended to avoid any flickers that a specialized “Trailing edge” dimmer switch that reduces the current flow to zero is used to also give the full dimmable range. Normal dimmer switches are leading edge and have a minimum load of 40 Watts that means to dim the bulbs fully more that 10 bulbs would be required due to the low power consumption.